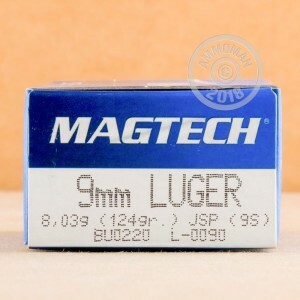 If hollow points are not an option, this soft point ammunition from Magtech can provide better expansion than FMJs for defensive or hunting purposes. 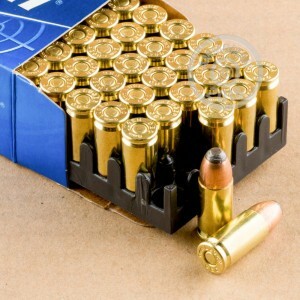 Each cartridge in this box of 50 fires a 124 grain bullet at 1,109 feet per second. Magtech ammunition is loaded in Ribeirao Pires just outside Sao Paulo, Brazil. 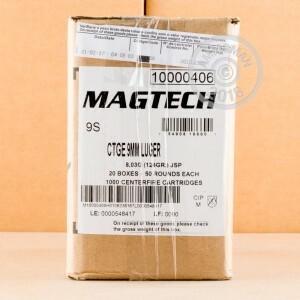 CBC, the company behind the Magtech brand, is the largest defense contractor in Latin America and produces its own ammo components including non-corrosive Boxer primers and brass cases. Place an order at AmmoMan.com for $99 or more to get FREE shipping!